"I am what I am. I don't do it on purpose and if it comes out it comes out." 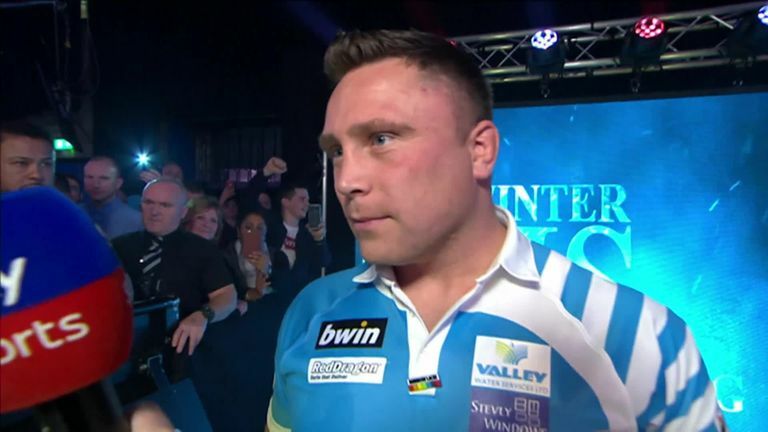 Gerwyn Price is not a shirker, not that you would expect it from someone who has played elite rugby union and rugby league, and he tells The Darts Show Podcast he is not about to shirk either the storm his on-stage behaviour has created or the surprise dip in form that followed his maiden major at the Grand Slam of Darts. The Magpie Club at St James' Park, overlooking the hallowed turf below, is the grand surrounding for the Premier League Darts launch, an event that seems to get bigger and bigger each year. The players are milling around with lots of people to talk to, pictures to take, sponsors challenges to attempt, and Price is as amenable as they come as he takes a seat. "Yeah it does," the Welshman responds with a smile when asked if the venue brings back sporting memories and gets the juices flowing for another year on the PDC circuit. "It's the best players in the world and it's not going to be easy, every week's going to be tough, but it's going to be tough for them when they play me as well. I'm a better player this year and hopefully I'll do well, I'm targeting the top four." Price has serious sporting pedigree, playing rugby union for Neath, Cross Keys, in the PRO12 for Glasgow, and rugby league in south Wales. But he is now a dart player, and not just any dart player: he is the seventh best player in the world, according to the Order of Merit and the Grand Slam champion. It's no surprise that someone of such sporting repute has a fiercely-competitive edge. "It's just like being on a rugby pitch. You're not going to go round ankle-tapping someone every day, you want to smash them over and get the aggression out of you. I'm not up there to put people off or anything, it just makes me a better player." Talking to Price you would never really know the storm that has engulfed him over the past six months and until Thursday night had left him without a win since claiming his maiden major at the Grand Slam of Darts. The Iceman's antics - described by Wayne Mardle as 'shenanigans' - in particular a semi-final win over Simon Whitlock and a final triumph over Gary Anderson, landed him a £21,500 fine and a suspended three-month ban for any repeat offence. 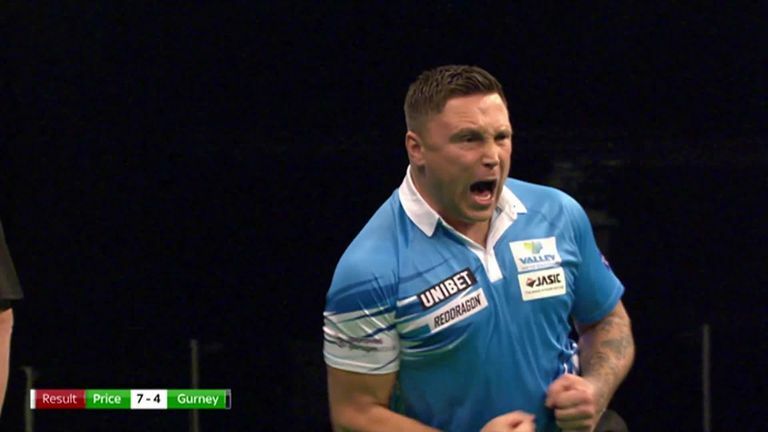 Supporters, despite the pantomime boos he has plenty, say he is doing nothing different to when he first burst onto the scene, but with matches now higher profile, and with him being a genuine contender at elite tournaments, Price has his own thoughts. "I just think it's against the wrong people," he says diplomatically. "I've always been the same since day one. I've been playing on TV now every tournament for the last two or three years, so it's not as if it's overnight that this has happened, it's just happened against somebody who's really popular and it's just a shame that it's going this way." A quiet determination underpins almost everything Price says, so when he says he 'I am what I am' you believe him. It then comes as something of a surprise to hear him admit the pressure of a ban has affected him. "As you've seen in the last tournament [Masters] I was probably not the same player as I have been. That's basically it. I do it to make myself play better, get my own adrenaline and if they're going to take that away from me, then my A-game is gone and they have to beat my B-game. "I don't do it on purpose and if it comes out it comes out. I held back a bit because you're sort of being stopped from being able to do your job, and I just don't know how to react lately, but if it comes out it comes out. If I get banned I get banned, it's something I can't control." On Thursday night in Newcastle, Price was booed to the stage again but his response was to produce arguably one of his best performances to beat Daryl Gurney with a 104 average, a barrage of maximums, and of course the trademark roar. "I haven't really played that well. I played well in the Players Championship Finals but came up against a better player on the day and I was a bit disappointed with the Worlds. I don't know what it is with the set format, I just play absolutely rubbish. "I'm still practicing well and confidence is sky-high after the Grand Slam." Amid the hubbub of media day, Price looks at home in the Premier League now, even nailing a backwards over-the-shoulder-throw that pins the bullseye, Former world No 1 Colin Lloyd describes the tournament as an unforgiving 16-week slog. Last year's debut yielded just two draws and not a single win and Price wasn't shy in admitting his disdain. "It's an exhausting test. For those going all the way to the play-offs it's 17 nights in 16 weeks. But the rewards are there too, as well as status, the prize money, including appearance and win bonuses is huge, and it has always been Darts' showcase. "Last year it didn't really go to plan, I didn't know what to expect but I know everything that comes with the Premier League this year, so I'm looking forward to it a bit more this year. "Being on stage and playing darts, that's what every darts player wants to do, especially in the Premier League. Once you're on stage that's the easy bit so to speak, it's just the travelling took it out of me and I'm basically not winning a game as well. "You're down in the dumps going to Pro Tours and then you're not home until the Monday. I was home for a day and then away and it starts again. It just wasn't for me last year but I know what to expect this year and I'm a better player as well. "I was coming to these last year and not really wanting to be there and it was affecting my ranking events then, which I didn't really want. I don't really want that to happen again this year so as I said, I need to get into the tournament early on. All sport needs its villains, and Price is big enough to embrace it, and back in Wolverhampton when the adrenaline was pumping he may as well have been shouting 'bring it on'. Crucially he is good enough to back it up, as his status in the game now shows. 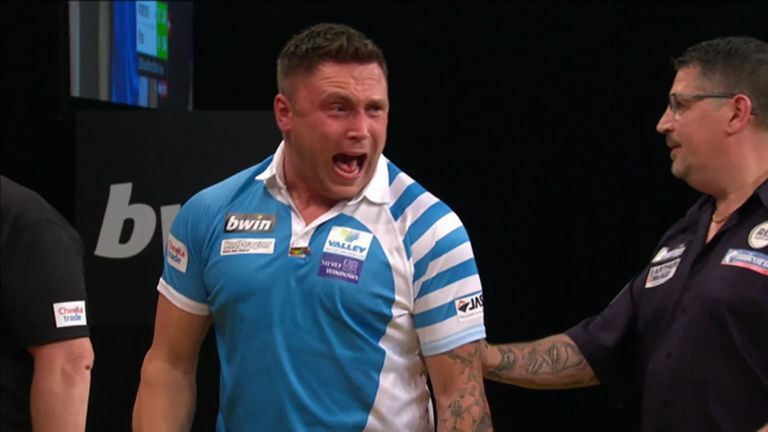 After Thursday's win he was honest enough to admit that some days the looming threat of a suspension hinders him, other days it fires him up - and that is what makes him box office and one of darts brightest, engaging and controversial characters.